Liberty Elementary and Galena Middle School accepted the Challenge Award of Merit from retired Superintendent Jim Porter of Fredonia on Wednesday, April 24th. This Award is given for outstanding achievement and uncommon accomplishment based on Kansas Math and Reading Assessment results as well as other qualifying factors. 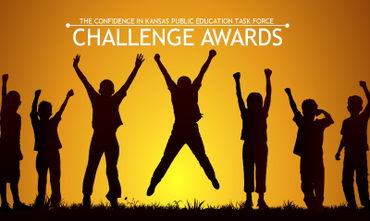 The Challenge Award is given by the Confidence in Education Task Force, a . . .
Any student, that is currently in the 6th-11th grades, is required, by the state of Kansas, to have a completed physical form on file with the school and the state. 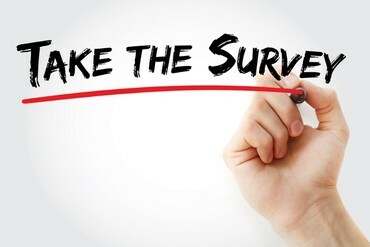 Ortho4States is offering free sports physicals for the 2019-20 school year to GMS and GHS students on May 1st from 3:00-5:30 PM in the new Galena High School gymnasium and locker rooms. This includes any student that is planning on participating in cheer, . . .
Galena Order of the Eastern Star, Masonic Lodge of Galena, and USD #499 Nurse DeAnn Kellogg have generously sponsored our school to purchase books with the Scholastic book program set up to get books in students hands at home. Scholastic Book Club offers different $1 books each month. Mrs. Whited organizes with the teachers on who would want what book and then they are presented to the students during morning opening. This is our fourth . 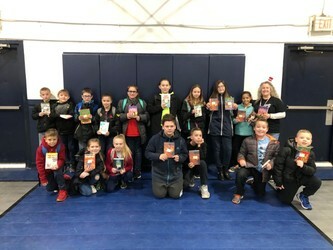 . .
Liberty Elementary started out celebrating Dr. Seuss' birthday by going first thing this morning to read and give a pencil to all of the Spring Grove students. 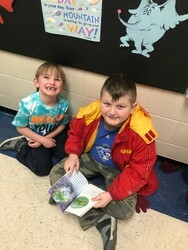 Upon returning to Liberty, students were able to participate in several stations including Dr. Seuss Jeopardy, computer quizzes, book walk, snacks, and a photo booth with creative frames for individual and class pictures. Spring Grove Primary Center and . 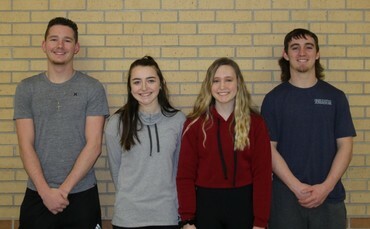 . .
Congratulations to the following Galena High School athletes for being chosen as part of the CNC League Basketball teams: Senior Madyson Cox was a unanimous pick for the girls CNC 1st Team this year. Addysin Scarrow, a sophomore, was selected as a part of the Honorable Mention CNC team. On the boys side, Senior JC Shelton was tapped as part of the CNC 2nd team, while fellow Senior Blake Booth, was named to the . . .